With access to NAFTA and the EU, via the Comprehensive Economic and Trade Agreement, Canada has become one of the best prospects for foreign investors and growing businesses. However, while similarities exist in employment laws between the U.S. and Canada, there are minor differences that must be navigated compliantly to avoid penalties. 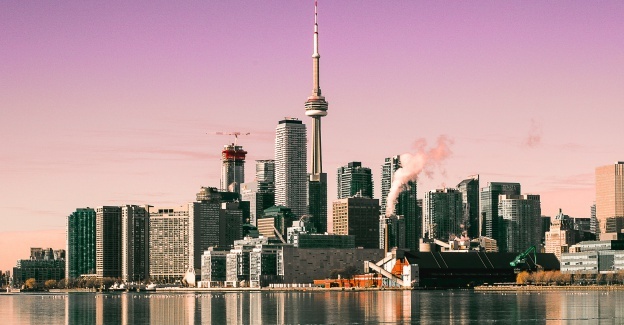 Precision Global Consulting's Catriona O’Kane sat down recently with Inna Koldorf, a partner at Canadian national law firm Miller Thomson and leading employment lawyer, for her advice on employing workers in Canada. Catriona O'Kane: Inna thanks so much for lending your expertise. Before an organization has begun the process of expansion and is still researching what is involved, what key areas would you advise they look at as a starting point? Inna Koldorf: Unlike the U.S., most Canadian employees are governed by provincial law, not federal law. As a result, the first thing that an organization should consider before hiring a Canadian employee is in which province the employee will work. While employment standards and occupational health and safety laws may be similar between some provinces, they could have significant differences as well. Once the organization narrows down the province in which the employee will work, it should look at the minimum standards in that province’s employment standards legislation. Each province has its own set of standards that address minimum wage, hours of work and overtime, vacation and public holiday pay, leaves of absence, etc. The organization will have to provide its Canadian employees with at least the minimum standards required. Next, the organization should seriously consider drafting written employment contracts for its Canadian employees. With the exception of employees in Quebec, most employees in Canada who are not unionized are deemed by law to be working under an employment contract. If the employment contract is not written and signed by the employee, then the common law imposes an implied employment contract, with terms and conditions that often exceed the minimum standards and provide greater benefits and protections to employees. For this reason, an organization should consider having written employment contracts that can limit employees’ entitlements by overriding the benefits and protections implied by the common law. To be enforceable, however, the employment contract must comply with the minimum standards in the applicable employment standards legislation. Catriona: What is the one difference that U.S. employers are most surprised by when hiring their first Canadian employee? Inna: The one difference that catches most U.S. employers by surprise is that we do not have “at will” employment in Canada. In most Canadian jurisdictions, and certainly in Ontario, an employer must have just cause to terminate an employee without notice or pay in lieu of notice. The burden is on the employer to show that just cause existed, and the threshold is quite high. Just cause terminations are reserved for really egregious employee conduct such as theft and dishonesty. All other terminations in Ontario are considered to be without cause and the employer must either provide working notice of the pending termination or provide pay-in-lieu of the notice. The length of notice (or the amount of pay) would depend on a number of factors. Employment standards legislation provides the minimum length of notice. If the employee signed an enforceable employment contract which contains a “termination without cause” provision, then the length of notice would be limited to the contractual entitlement. If no employment contract was signed or the contract does not contain a “termination without cause” provision, then the common law kicks in, and entitles the employee to a notice period that is higher than the minimum standard. This length of notice depends on the employee’s position, seniority, age and likelihood of finding alternate employment. In other words, most terminations attract a notice period or a payment, which can be limited by an employment contract, but in the absence of proper contractual language, terminations can get expensive for the employer. Catriona: A a key difference that companies find surprising is how vacation pay and public holidays are treated in Canada. Can you offer some guidance to businesses on what to be aware of? Inna: In Ontario, vacation time and vacation pay are treated differently in employment standards legislation. An employee with four or less years of seniority with an employer is entitled to two weeks of vacation time. An employee with five or more years of seniority is entitled to three weeks of vacation time. In addition, employees who are eligible for two weeks of vacation time receive four percent of their gross wages as vacation pay. Employees who receive three weeks of vacation time receive six percent of their gross wages in vacation pay. With respect to public holidays, each jurisdiction in Canada has its own list of public holidays. Ontario has nine public holidays during which employees may have a day off and earn public holiday pay. Public holiday pay is calculated by adding all the regular wages and vacation pay earned by the employee in the four weeks leading up to the week with the public holiday pay, divided by 20. Employees also have the option of working on a public holiday if the employer requests that they work, and they consent. In that case, an employee will earn 1.5 times his or her wages for their work on the public holiday. Catriona: What about absences from work? What entitlements do employees have to leaves of absences? Inna: Ontario’s Employment Standards Act includes a list of 12 different types of leaves of absence that employees are entitled to, at a minimum. The list includes Family Caregiver Leave, Critical Illness Leave and Domestic or Sexual Violence Leave. There are two types of leaves of absence which are particularly surprising to U.S. employers. The Personal Emergency Leave requires an employer to provide each employee with 10 days off from work due to a personal emergency or an emergency of a close family member. The first two days must be fully paid by the employer. The 10 days replenish annually on January 1 for each employee. Second, parental and pregnancy leave in Ontario, when combined, entitle women who give birth to up to 18 months of unpaid pregnancy and parental leave. All other parents are entitled to 63 weeks of unpaid parental leave. The law requires employers to continue employee benefits during all statutory leaves of absence, and to reinstate an employee into his or her previous position when the employee returns from leave. In other words, the employee’s job is protected during any statutory leave of absence. Catriona: If you could offer just one piece of advice to companies moving to Canada what would it be? Inna: Do your research. There are many different rules and regulations about minimum standards, health and safety in the workplace, and accessibility for employees and the public. Ignorance of the rules is no excuse, and the resulting fines and damages could be high. If in doubt, get legal advice from a local employment lawyer who is familiar with the province’s employment law regime. Catriona is Business Development Manager for Precision Global Consulting (PGC), a workforce management platform. Catriona consults with companies to understand their existing back office operations processes to identify how implementing technology can allow for scale and growth. Born in Ireland, Catriona has worked in the UK and Europe before moving to the US and previously worked in Marketing for Vodafone and HBO. Inna Koldorf’s practice is focused in the areas of Labour & Employment Law, Human Rights Law, and Workplace Investigations. Inna provides clients with strategic advice and training to ensure legal compliance with the different aspects of workplace law, leaving them with more time to run their business rather than having to address human resource issues. Having advised and represented unions and employees earlier in her career, Inna brings a unique perspective to the counsel and representation that she now provides exclusively to employers.